Let's get the legal stuff out of the way and then get down to the fun! 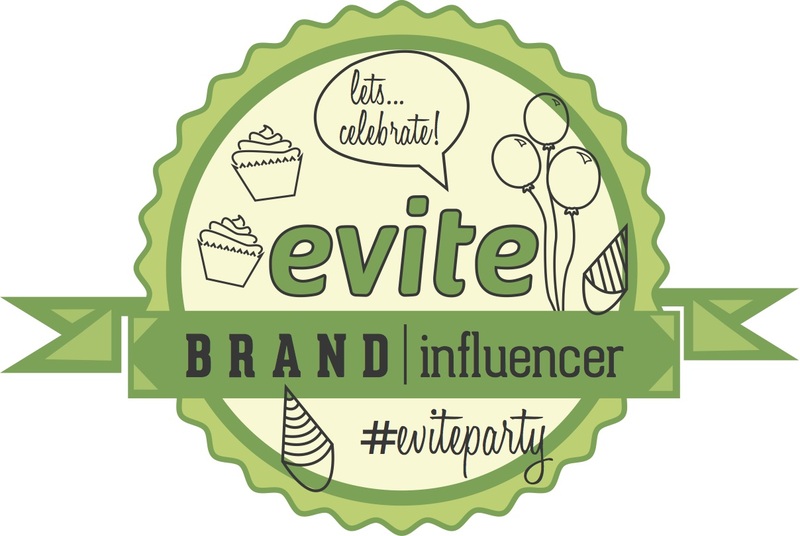 I am part of the Evite Influencer Program and have been compensated for this post. All opinions are my own. Now for the FUN! 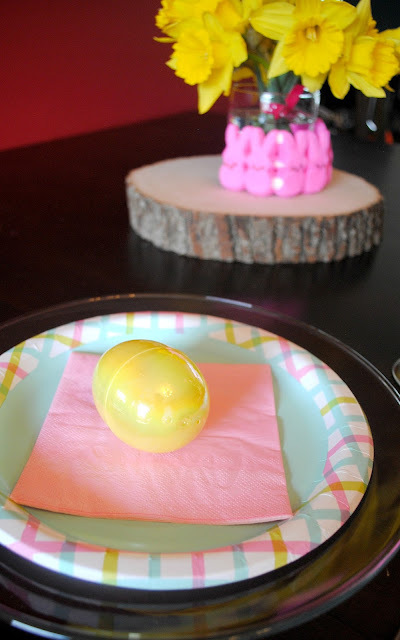 Evite contacted me and asked if I wanted to join their $35 Easter Blog Hop Challenge. Um yes! You know I'm all about inspiring you to throw more parties. I also know throwing parties can be stressful for some people. You think you have to spend a fortune to throw one. Sooo not true! You and your friends can have a great time on a small budget. Let's see how. Yep, if you know me you're not surprised at all that I chose this invitation. 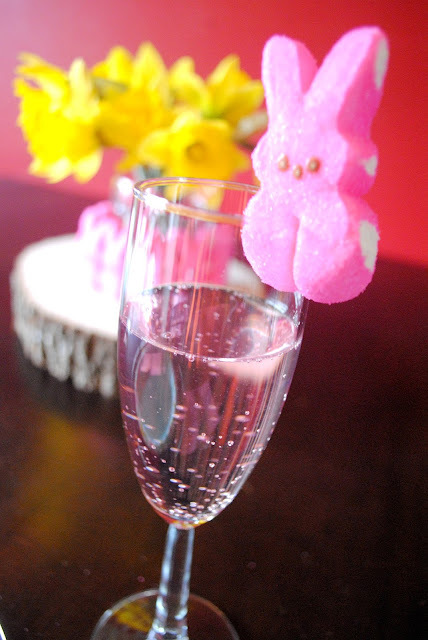 I'm all about the Peeps at Easter. 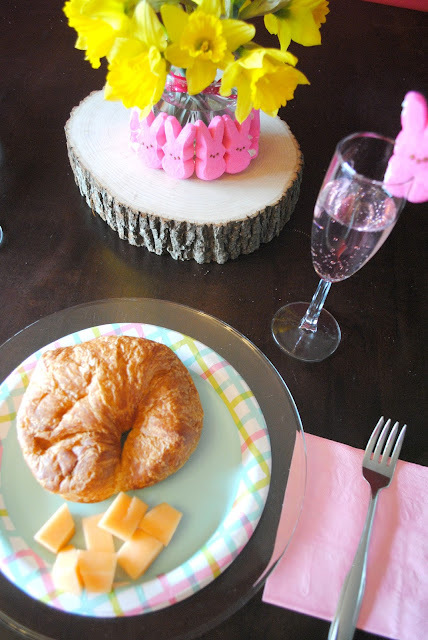 For the $35 challenge I threw a mini brunch for three of my friends. I saved money by not putting a table linen down and kept the centerpiece and place settings simple. The focus of the party was time with friends. I splurged on the drinks and served Fentimans Rose Lemondae soda. Less expensive than champagne, still has that bubbly effect and tastes delicious. 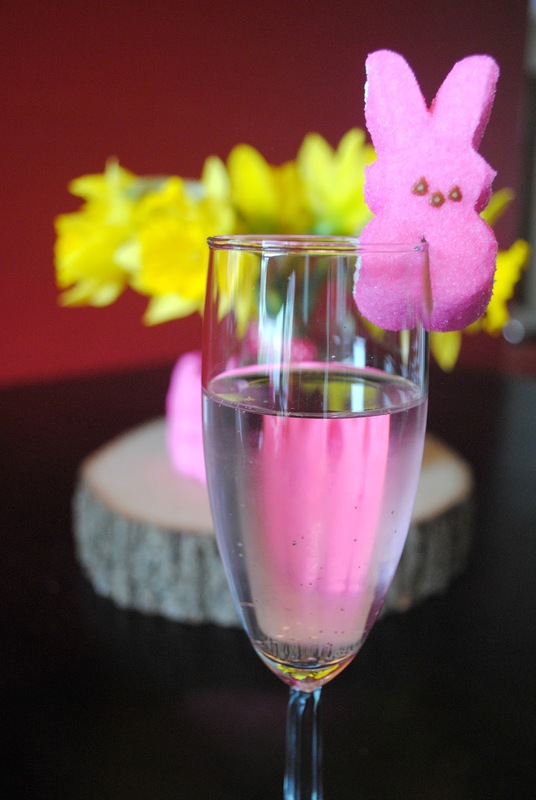 Of course I had to add a Peep to the glass to tie into the invitation and HELLO, it's Easter! Easter calls for Peeps. I love sending my guests home with party favors and this brunch was no exception. 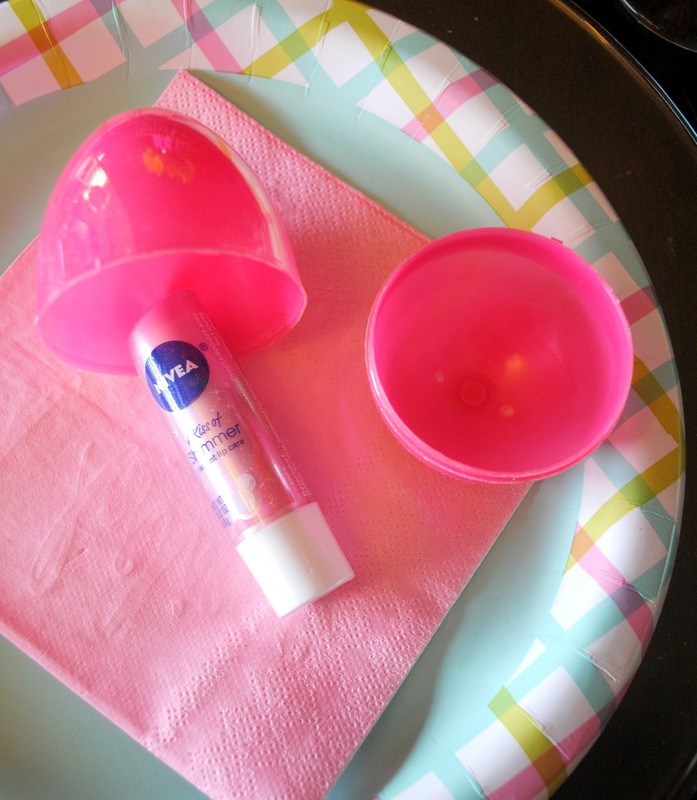 I filled an Easter egg with a lip balm in pink to match the invitation. For the centerpiece I picked some daffodils from my yard, tied them together with a spare piece of ribbon I had in the house and placed them in a drinking glass. 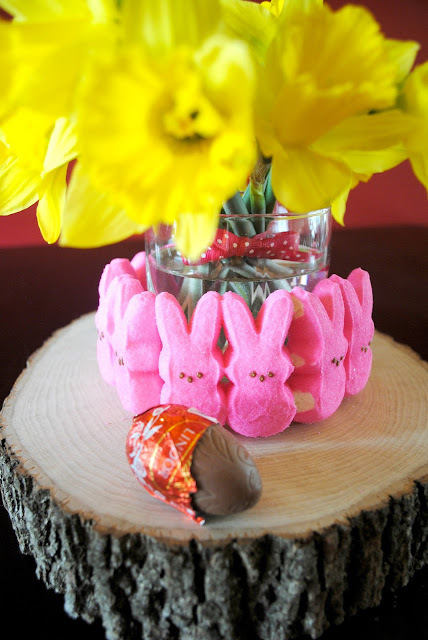 I surrounded the glass with Peeps and placed the whole centerpiece on a wood round I had. If you don't have a wood round you could use a pretty tray, platter, dish, or nothing. 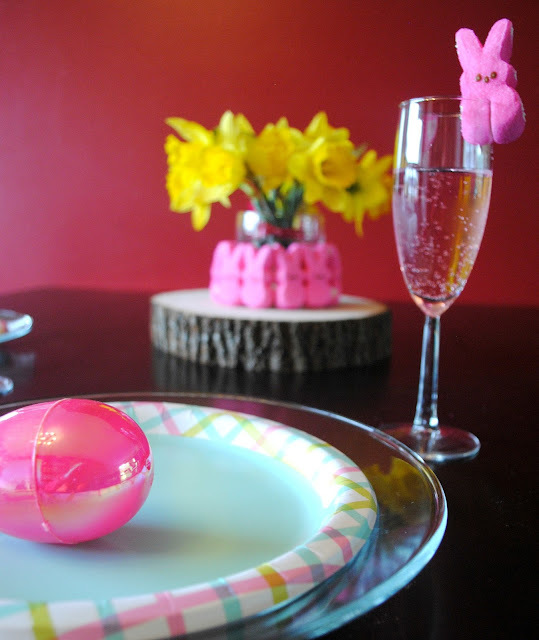 Dessert was delicious Lindor eggs. I know you all couldn't attend the party but I have a party favor for you too! 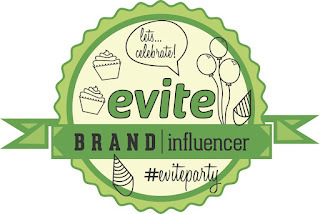 Evite gave me a promo code for their premium invitations for up to 15 guests. This promo code is good through March 26, 2016. 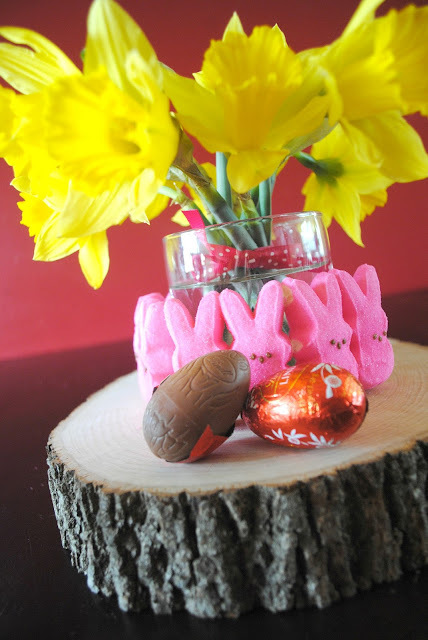 Just click here and enter promo code easterhop15 at check out. Thanks for participating! We love the cute party favor idea - matching your party to the invitation is always a yes in our book! I love giving party favors and especially useful ones. Thank you for having me along for this challenge.